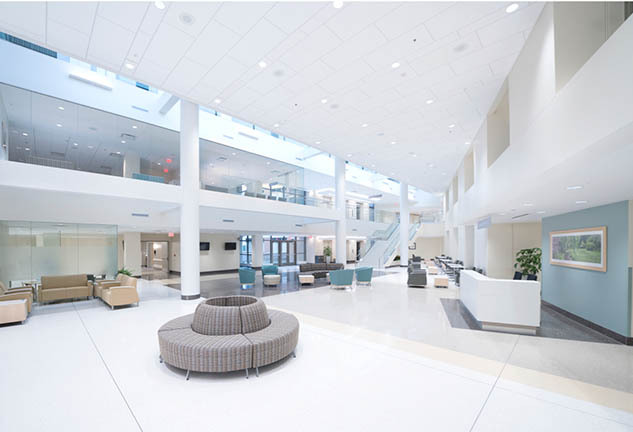 McCarthy has completed construction of a new three-story, 120,000-square-foot patient building on the campus of Mercy Hospital Jefferson in Crystal City, Mo. Constructed to the south of the existing hospital facility, the $73 million tower features 90 private patient rooms and is designed to accommodate a potential vertical expansion to add new patient floors in the future. The project also involved renovating the hospital’s main entrance to improve patient and visitor access. The new main entrance features a covered canopy, full window lantern element, reflecting pond, and stone and brick façade. Inside, patients and visitors experience improved wayfinding and new corridors that efficiently connect the emergency department, imaging, surgical services and admitting areas. 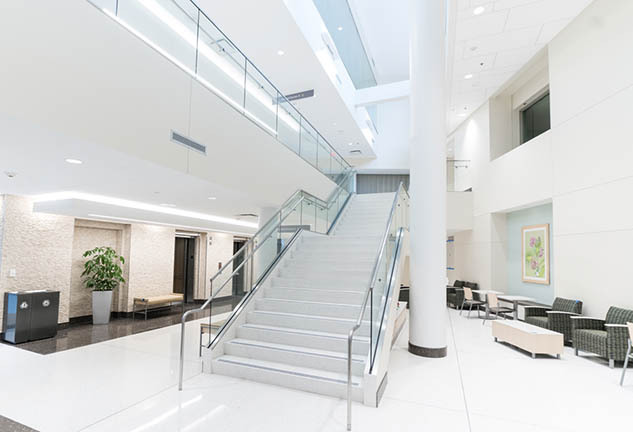 An extensive interior renovation of the existing hospital building included construction of a new emergency department waiting area and triage rooms; additional cardiology facilities; and MRI suites. Construction of a new childbirth center on the third floor of the existing tower includes new labor and delivery suites, remodeled postpartum rooms and two dedicated surgical units. Other campus enhancements include relocation of the emergency helicopter landing pad and ambulance entrance as well as a parking expansion and repaving of Emergency Drive, which loops through the hospital property. All construction activities progressed while the 251-bed hospital continued to provide full services to patients and the community. The construction team leveraged technology, including full building information modeling (BIM) for mechanical, electrical and plumbing (MEP) coordination, to facilitate construction efficiency and accuracy. “McCarthy values its long-term relationship with Mercy, and we were pleased to partner with them on this project to expand care to patients throughout Jefferson County and the broader community,” said McCarthy Vice President of Operations Doug Mangers. McCarthy served as construction manager for the expansion project. 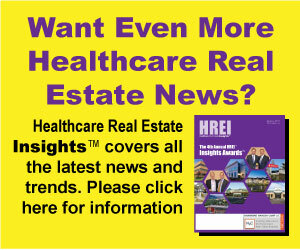 Bates Architects designed the new patient tower and Heideman Associates served as MEP engineer. Mercy, named one of the top five large U.S. health systems in 2017 and 2016 by Truven, an IBM Watson Health company, serves millions annually. Mercy includes more than 40 acute care and specialty (heart, children’s, orthopedic and rehab) hospitals, 800 physician practices and outpatient facilities, 44,000 co-workers and 2,100 Mercy Clinic physicians in Arkansas, Kansas, Missouri and Oklahoma. Mercy also has clinics, outpatient services and outreach ministries in Arkansas, Louisiana, Mississippi and Texas. In addition, Mercy’s IT division, Mercy Technology Services, supply chain organization, ROi, and Mercy Virtual commercially serve providers and patients in more than 20 states coast to coast. McCarthy Building Companies, Inc. has been setting the industry standard in healthcare construction for over a century. Consistently ranked as a top healthcare builder by Modern Healthcare and Engineering News-Review, McCarthy has constructed more than 800 significant healthcare facilities and renovated thousands more. McCarthy offers its clients the full range of construction delivery methods – construction management, general contracting, and design/build – whether for one individual project, a sustaining work program or a system-wide facilities program. With national headquarters in St. Louis, McCarthy also has full-service offices in San Diego, Sacramento, San Francisco and San Jose, Calif.; Phoenix; Las Vegas; Albuquerque; Dallas; Houston; Atlanta; Omaha; Collinsville, Ill. and Kansas City, Kan. McCarthy is 100 percent employee owned. More information about the company is available online at www.mccarthy.com or by following the company on Facebook, Twitter, LinkedIn and Google+.